I've had more time to put into Dragonfall for Shadowrun Returns, and the game just keeps getting better and better. Oh wow is it a far cry from the Dead Man's Switch campaign -- the expansion that launched with the original Kickstarter outing. 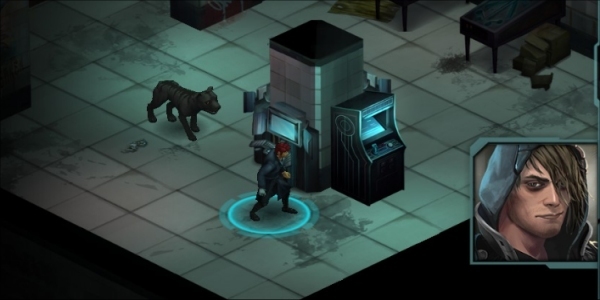 First off, I have to say that Dead Man's Switch felt more like a testing ground than an actual Shadowrun experience. It was futuristic and had some RPG elements, but it was so stilted in its presentation and the way that players were allowed to interact with the world that it seemed far removed from classics like Snatcher, Policenauts, Blade Runner, Future Wars, Cyberia or the original Shadowrun games on the SNES and Sega Genesis. It lacked a true feeling of immersion into the world of cybermacy. 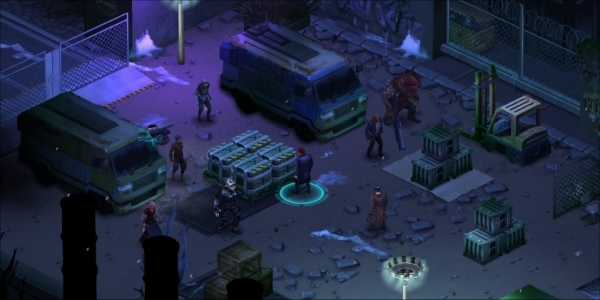 Thankfully, Harebrained Schemes has rectified their position in how they present the world and content of Shadowrun to gamers via Dragonfall. It's a night and day experience from top to bottom. First of all, there's a ton of lore in Dragonfall that feels like something straight out of a 1990s isometric RPG from Black Isle, Bioware or Bethesda. In addition to this, the character presentation and dialogue trees are far more evolved then the paper thin and often vapid expressions in the original outing. In simple terms, Dead Man's Switch felt like filler content compared to Dragonfall. So what makes the new expansion so good? Well, first of all the cityhub is great. You return often to a central location to pick up quests, carry out quests or get to know people. 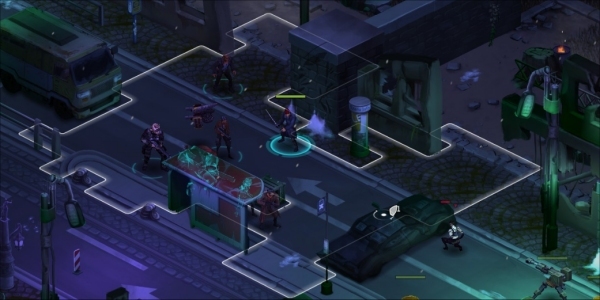 There's no longer that feeling of string-along questing like in the original Shadowrun Returns outing. Also, there's more locations and better locations. The world feels a lot more alive and artistically in tuned with the cyberpunk culture. The signs, the buildings, the structure of the environments... it feels authentic. In the original outing it seemed like there was a lot of placeholder assets, and it was hard to get a feel for the environments – which in turn made it hard to care about the story – because it didn't feel quite as alive. Another thing that Dragonfall does with flying colors (so far) is that it steeps itself heavy into the moral grays of choice. There is no such thing as right or wrong choices... just choices. The game also doesn't hammer home any obligatory “you made the wrong choice” scenarios, just consequences for those choices... sometimes good, sometimes bad. And yes, it's possible to fail optional missions by not carrying out specific tasks, but it's entirely driven by player actions and team setup. More than ever, how you build your character determines the success rate of your team. Unlike the original Dead Man's Switch, every character class is essential in a meaningful way. I managed to complete one mission but I desperately needed a high level decker, and I missed out on some important goods because I brought a biotech mercenary instead. However, had I brought a decker instead of the merc I wouldn't have survived the onslaught of enemies who brought me close to the brink of death, even with the mercenary in tow. An under-equipped decker could have been a death spell for me, even though I would have gained access to some sweet goods and an additional mission objective. In this way, Dragonfall touts lots of replayability based on player-choice, and I love that. For now, this expansion is doing everything right and offering the kind of playability and immersion that cyberpunk fans will oh-so-sorely love. It feels like a perfect compliment RPG for anyone who loved the recent Deus Ex: Human Revolution. Yes, Harebrained Schemes definitely took the time turn Dragonfall into a love-letter for cyberpunk fans, and it's very well appreciated. The expansion is available right now for $14.99. I haven't finished it yet, so keep in mind that it could all turn sour and go south. I'll do an updated impressions piece as I get further into the game. You can learn more about Dragonfall by paying a visit to the official website.